Monosodium glutamate, more commonly referred to as MSG, is a widely used flavoring in many dishes. The chemical adds a savory flavor to various foods and increases the sensitivity of taste receptors, according to an entry posted on the website of the University of Bristol’s School of Chemistry. The article noted that the food enhancer was first discovered in 1907 by Japanese researcher Professor Kikunae Ikeda of the Tokyo Imperial University. Historical accounts discuss that Ikeda first discovered the chemical by examining the brown crystals found in evaporated kombu seaweed broth. The expert then identified the residue as glutamic acid, with had a taste reminiscent of seaweed and many other foods. Ikeda named the crystals umami, which translates to savory. 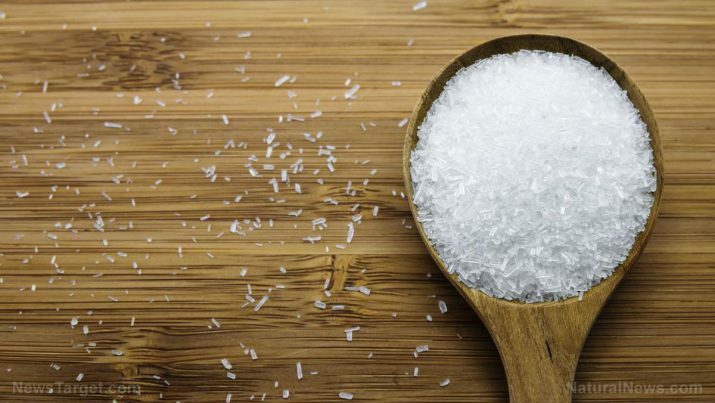 MSG is classified as the sodium salt of glutamic acid. The acid is known to revert back to its ionized form when in an aqueous solution. The flavor enhancer is only known as glutamate during this state. Glutamate is essential factor in the biosynthesis of several key amino acids. Glutamate occurs naturally in various food sources, especially in animal protein. An entry published on the SELF Nutrition Data website featured a complete list of foods rich in glutamic acid including red meat, poultry products and seafood as well as dairy products and vegetables. Monosodium glutamate is notoriously implicated in the onset of obesity and metabolic syndrome. A vast number of studies have found a positive correlation between MSG intake and excess weight. An Organic Authority article cites a Japanese study demonstrating that the flavor enhancer triggered the onset of obesity and liver issues in animal models. Likewise, MSG intake is associated with an increased risk of various cardiovascular conditions such as arrhythmia, atrial fibrillation, and angina. The chemical is also tied to fluctuations in blood pressure. The harmful flavoring agent is known to negatively affect brain health too. According to an article on the Healthy Holistic Living website, MSG consumption increases the likelihood of developing neurological disorders including mood swings, depression, and lethargy as well as anxiety and panic attacks, hyperactivity and behavioral problems. The flavor enhancer is also shown to raise the odds of seizures, sciatica, and mental confusion. MSG consumption also appears to be detrimental to both the respiratory and digestive tracts. The toxic chemical is found to trigger chest pain, asthma attacks, and shortness of breath. The flavor enhancer is known to cause sneezing and runny nose as well. Likewise, MSG intake is shown to elevate the risk of various gastrointestinal conditions such as nausea and vomiting, bloating and diarrhea as well as stomach cramps and rectal bleeding. In addition, the toxic chemical is revealed to negatively affect the muscles, the urinary tract and the reproductive health. The harmful flavoring agent is found to induce joint pain, stiffness and flu-like muscle pain. MSG intake is associated with the onset of bladder pain, nocturia and frequent urination as well. 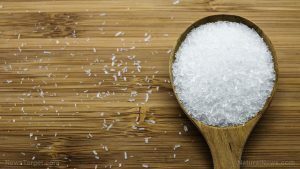 Experts have also stressed that MSG may cause prostate inflammation and vaginal swelling and spotting. Monosodium glumate increases the risk of obesity and is particularly detrimental to heart health. Likewise, the toxic flavor enhancer is known to negatively affect brain health. MSG consumption is also shown to impact both the respiratory and digestive tracts. The flavoring agent is detrimental to the muscles, the urinary tract and the reproductive health as well. Monosodium glutamate causes obesity and various cardiovascular conditions. Monosodium glutamate triggers the onset of mental and behavioral issues. Monosodium glutamate raises the odds of digestive and respiratory diseases. Monosodium glutamate causes muscle pain, urinary problems, and reproductive issues. Monosodium glutamate is particularly detrimental to both brain and heart health. Monosodium glutamate negatively affects the respiratory tract and digestive profile. Monosodium glutamate impacts the muscles, the urinary tract and the reproductive health.